Posted on April 17, 2019 at 10:30 am. One question we always ask ourselves here at Mockingbird is not only what moves the needle for our client’s marketing, but what moves the needle with the greatest impact, at the lowest cost to our clients. This leads us to constantly debate and discuss tactics on how best to grow our clients business and market share. One internal debate we have is, “What is the value of Google My Business Posts?” This debate, up until recently, has been largely focused around theory and gut feelings on Google’s intention for the future of GMB posts. But now, after posting weekly for a few clients we have data to back our opinions. 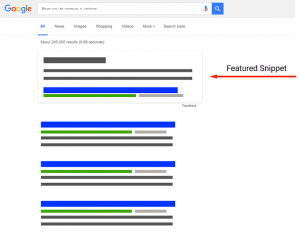 Before diving into the results from our tests, I should probably explain some information for those who are new to Local Search, GMB and other key topics highlighted in this post. If you are well versed in Local SEO, skip down to the next section. Local Search: The facet of Search Engine Marketing that focuses on targeting the geography of a user. The GPS proximity of the searcher to the business and location keywords in the search query are key examples. Google My Business: Also referred to as GMB, this is the knowledge panel that accompanies the search results on the right-hand side of the SERPs. This is where you can create and update your business’s name, address, phone number, website, hours of operation, and many other business details. GMB Posts: The focus of this post. These are social media-esque posts on the GMB account. They “expire” after 7 days but still show in “View previous posts” section. Below we have compiled 6 months of data coming from one of our clients, Tiftickjian Law Firm. 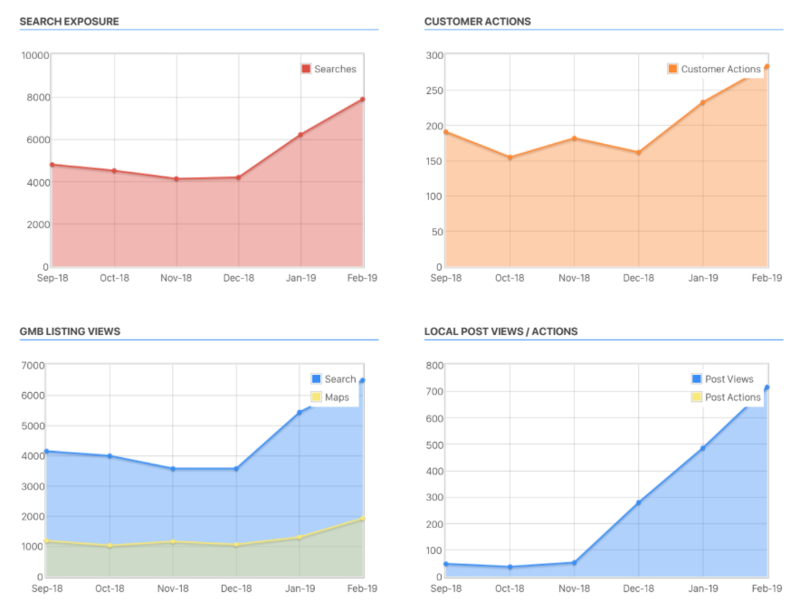 The data is broken into four graphs representing Search Exposure, Costumer Actions, GMB Listing Views and Post Views. Beginning on November 19th, we started posting on a weekly basis. 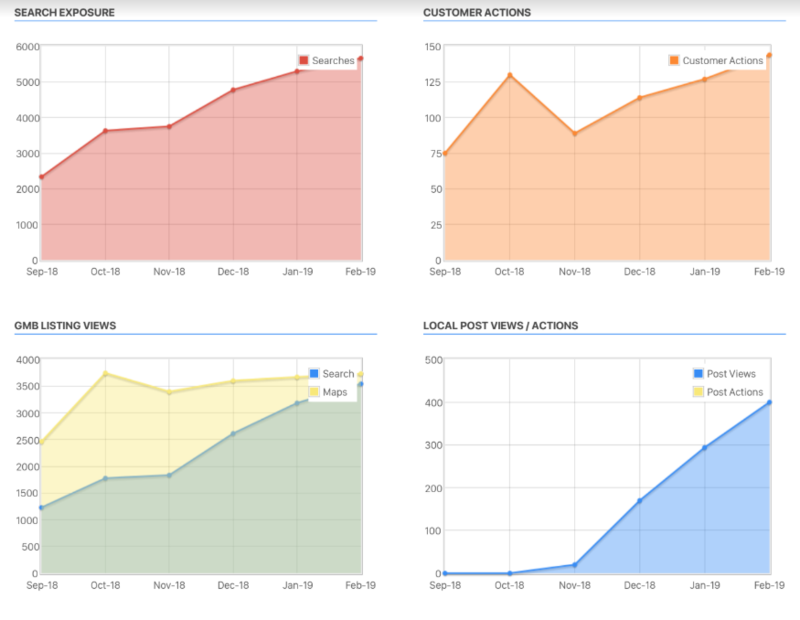 As the data clearly shows, there has been a massive upward growth across all four of the tracked metrics. These results are not limited to just one client. We ran the exact same test for Ross Scalise Law Group, and the results are almost identical. Additionally, back in February, an interesting discussion took place on the Local Search Forum after Dave DiGregorio noticed that GMB posts are showing up in the Local Finder and Joy Hawkins found them in the 3-pack as well. This looks to have been an initial test by Google, but my assumption is that we will continue to see GMB posts influencing and showing up in the search results. To wrap everything up into one final conclusion, I believe that making weekly GMB posts is valuable. They require minimal effort, and as the data shows, they have had a substantial impact on search exposure and engagement. Posted on March 28, 2019 at 8:06 am. Is your law firm getting overwhelmed with emails and cold calls from lead generation companies trying to sell you local leads? Next time they call, take a moment and ask them where and how they are generating these leads. It is very likely that they are stealing the leads right from under you and selling them back to you at a premium (shady af). I know this comes as no surprise for all of you, but legal marketing is cut throat. When there is a large amount of money to be made, there are bound to be black hat companies that exploit the system to make a quick buck. That’s exactly what many of these lead generation companies are doing. In a few hours, a company can set up 30+ keyword stuffed Google My Business listings, that without any reviews or even a website, will rank higher than your firm’s listing. Take a few minutes and google your practice area and location. 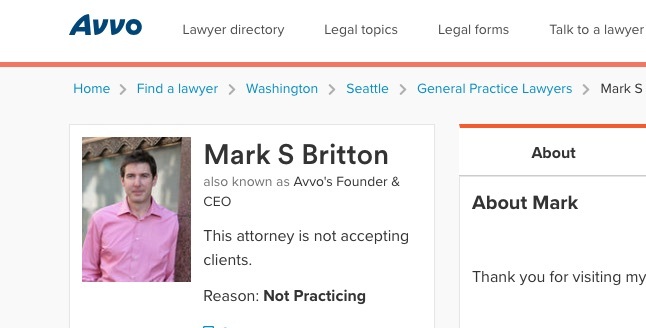 You may be shocked to find how many “personal injury law firms” your city has. Below is a search for a car accident lawyer in Bakersfield CA. 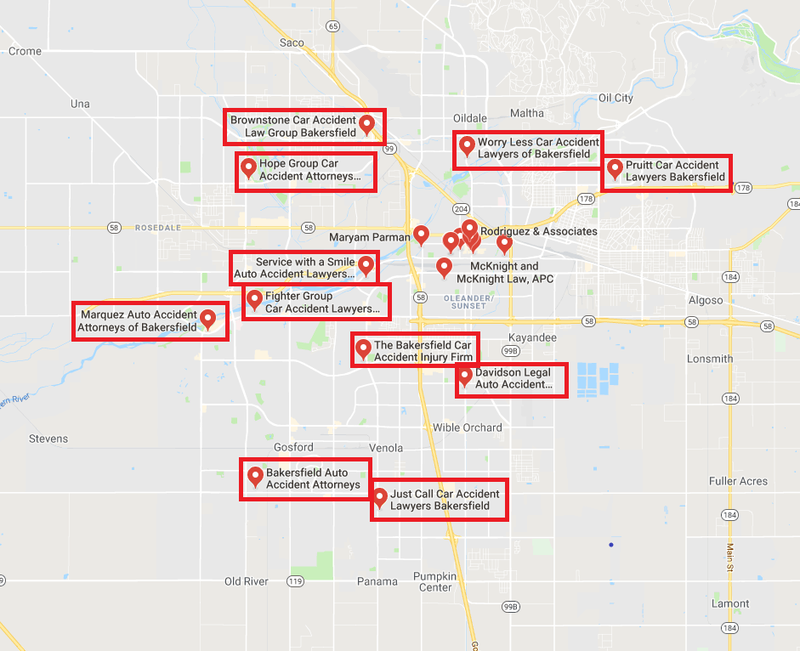 As you can clearly see, the entire outskirts of Bakersfield are overrun with these keyword stuffed listings. Google’s algorithm overvalues exact match keywords between the search queries and the name of a listing. This, unfortunately, boosts any listing that keyword stuffs its business name. The other “secret to success” for these fake listings is that they are located in the neighborhoods and suburbs near the potential clients. Proximity to the searcher is another huge ranking factor and these lead generators are taking full advantage of it. Keyword stuffed titles and proximity to the searcher allowed these fake listings to take over the entire map. Of the 14 Listings that are visible, 11 of them are fake offices. Without GMB having a strong vetting process, search marketers are forced into a game of whack a mole, trying to report listings to Google and get them taken down before more pop back up. One issue is that it takes quite a bit of time to escalate these spam offices to Google, validate that it is fake, and then have it removed. The other issue is that in the same amount of time that it takes to burn one listing, one person could create 2 or 3 new listings. This seems to be an endless war. Clearly, Google’s local search algorithm is broken. I hope for my client’s sake (and my sanity) that they come up with a solution soon. If you would like to take on the task of fighting your local spam, Google has recently made it easier for anyone to report a location. Fill out the “Business Redressal Complaint Form” and work with a Google representative to clean up the map. If you find your firm surrounded by fake listings and the problem seems too daunting to handle, Mockingbird is happy to help. Give us a call or fill out our contact form and we will do our best to help solve any of your digital marketing problems. If you’re interested in this topic and wish to learn more there are plenty of awesome resources. There is even a fantastic Podcast by Reply All, “Very Quickly to the Drill” that dives into a very similar issue in the Locksmith industry. Posted on March 26, 2019 at 10:11 am. Google+ is (was) Google’s attempt at creating a social platform to compete with Facebook, Twitter and LinkedIn. Launched in June 2011, Google+ has had many ups, downs, and pivots throughout the platform’s life cycle. It’s been linked to and disconnected from Google My Business (previously Google Places), Google Hangouts (RIP), Google Photos, and a slew of other Google products. In short, Google attempted to connect it to everything at one point or another. In October 2018, Google cited low user engagement and announced they were shutting down Google+ by the end of 2019. In December 2018, they accelerated their timeline to shut down by April 2019 due to bugs and security concerns. I’d safely bet that 99% of people reading this don’t use Google+ at all. Even if you do copy your Facebook posts to Google+ Circles, there’s nothing to save or transfer or export or worry about. Let Google+ die, and be happy you didn’t waste time in a social network ghost town. Posts – Publish announcements, deals, and more directly on your GMB page. Follow Button – People can follow your business, and be notified of updates & posts. Q&A – Users can ask (and answer) questions about your business. Watch these closely! Messaging – People can message your business straight from your GMB page. Photos & Videos – Not new, but a major factor in promoting your business. Reviews – Not from Google+ but you can’t talk about GMB without talking about reviews. Go get some! The elimination of Google+ is long overdue, but if you’re already using Google My Business to its full potential you have absolutely nothing to fear. And, if you’re underutilizing some of the features highlighted above, now would be the perfect time to start. Posted on October 26, 2018 at 11:20 am. 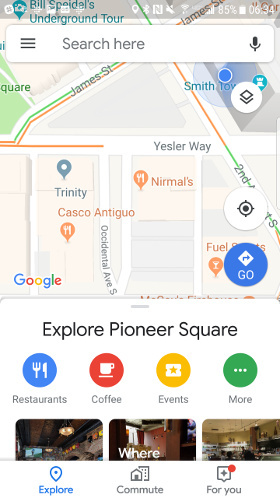 Currently rolling out only to those using Google Maps for Android, Google is now giving users the ability to “follow” specific businesses as announced on their blog. I’m sure it’s only a matter of time before IOS users start seeing this feature as well. Once a user starts following a business on Google, they start to receive news from that business, like events, offers and other updates. The news, events and updates show up under the “For You” tab within Google Maps. This Google Map update shows that Google is putting more stock into the Google My Business posts and so should your firm. Prior to this update, users would only find your business’s Google post and Q&A if they actively searched for your business and found the Knowledge Panel or business listing. Now, this information can be actively sent to users that have shown an interest in your services. We’ll have to see how this unfolds and the implications to your law firm’s marketing strategy as the feature is rolled out. Interestingly, this update comes at a time when Google+ has been discontinued following a massive data breach and trust in Facebook is at a low. Posted on July 30, 2018 at 4:36 pm. Posted on July 26, 2018 at 3:27 pm. Posted on November 8, 2017 at 10:10 am.